The Very Hungry Caterpillar by Eric Carle is one of the best selling picture books for children according to Amazon. It says that the book is THE all-time classic picture book, from generation to generation, sold somewhere in the world every 30 seconds! Have you shared it with a child or grandchild in your life? Isn’t it incredible? 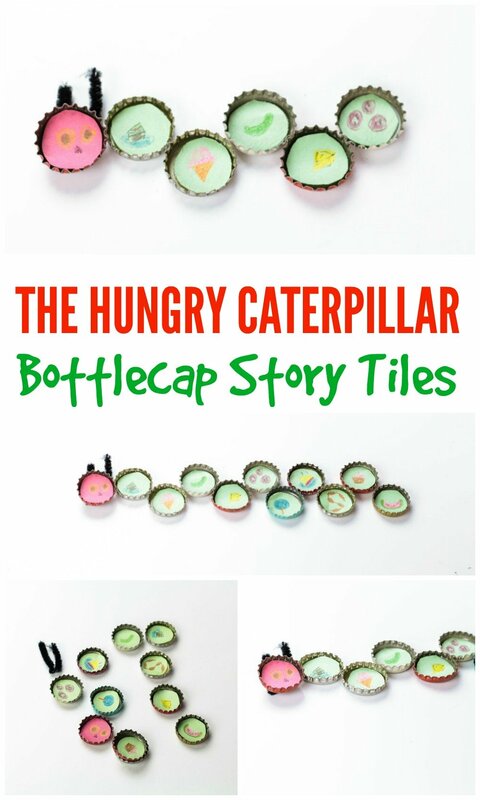 Today I would like to share The Hungry Caterpillar Story Sequencing Craft to help children comprehend and enjoy the story better. Do you like Eric Carle’s picture books? I believe everyone does. Check them out to read to children. Enjoy the craft and books with your children. Draw what the Hungry Caterpillar eats on each of the green papers. We did what he ate on the last day (cake, ice cream, pickle, cheese, salami, lollipop, cherry pie, sausage, cupcake, and watermelon). 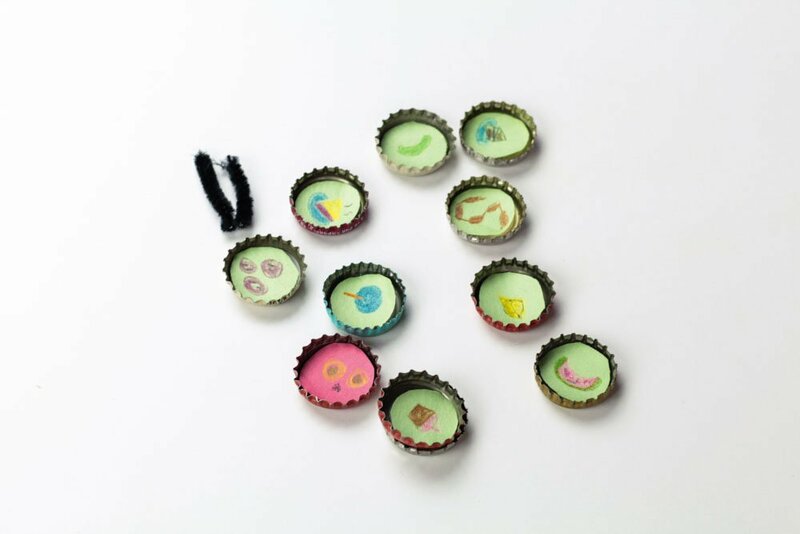 I found it easiest to draw on the circles before they were glued inside the bottle caps. Draw the caterpillar’s face onto the red circle. Glue two pipe cleaner antennas to the back of the red bottle cap. Glue all the foods inside the bottle caps. 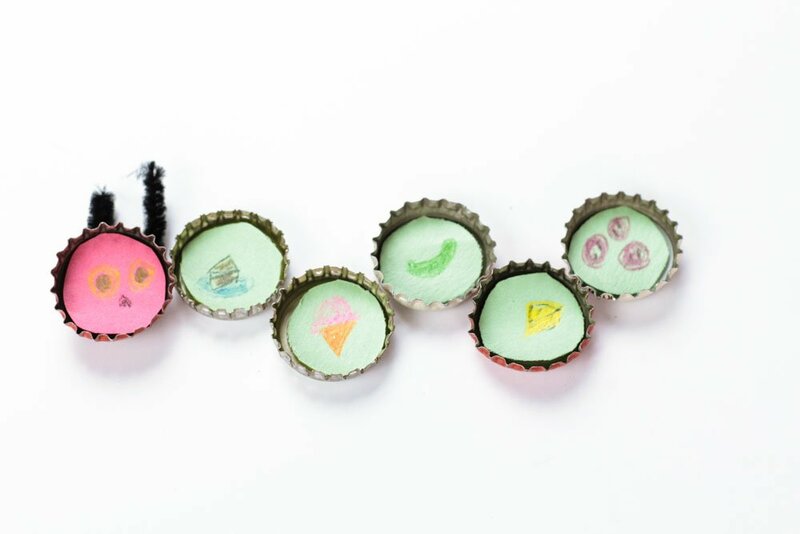 When reading the story, add a link to the caterpillar until he is completely full. That’s a lot of food for one caterpillar to eat! 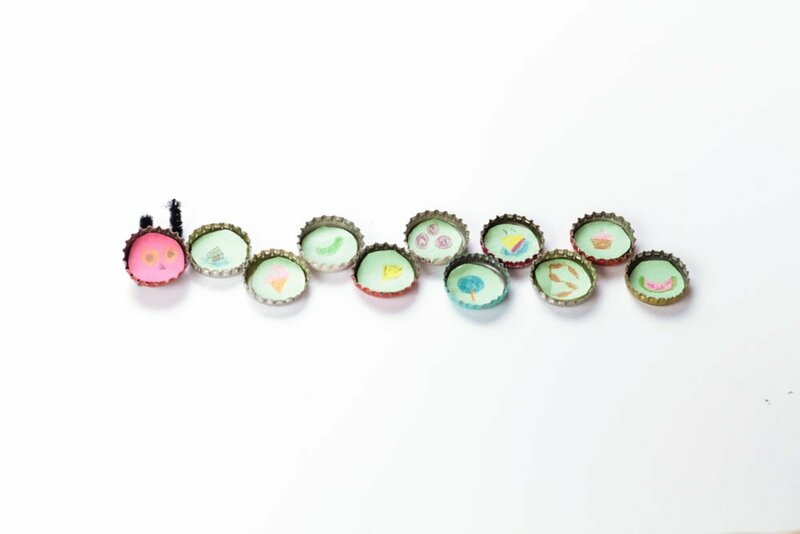 If you would like the story sequencing circles for this craft, you can enter your name/email into the form below and I will automatically mail it to you! If you have any trouble getting your download, please email me at [email protected] and I will help you. Hi there, To get the circle papers you need to enter your name/email into the blue box on the sheet. I will do that for you now. Let me know if you don’t get them. You can always write me at [email protected] if you have trouble.